A Gluten-Free treat made with no flour at all. 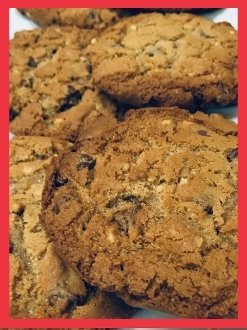 Delicious, soft, chewy, buttery with Ghirardelli chocolate chips - and did we say, delicious? GLUTEN FREE! : Made without flour or flour substitute. Still Delicious!